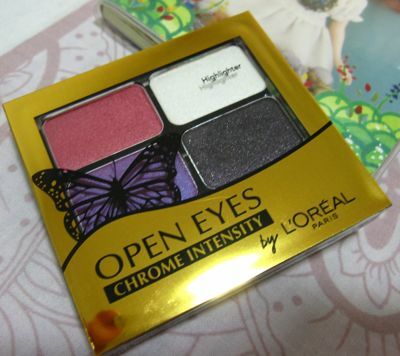 L'Oreal Open Eyes Chrome Intensity in Pink Mania is not your typical sweet pink quad. Like Aquadisiac, the shades are pigmented, vibrant and help to create a colourful look. The packaging is simple and functional, with a sponge tip applicator included. I like sponge tip applicators for packing on the colours to get them to show up more intensely but for blending to achieve a smoother effect, I still prefer to use a brush. The well that the sponge tip applicator sits in is actually reflective, so in a pinch you can actually use it as a mirror. 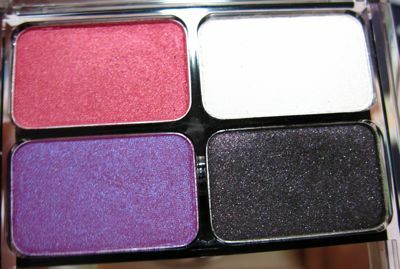 The shades are Pink Mania (top left), Deep Obsession (bottom left) and Deep Purple (bottom right). It also contains the same white highlighter shade as Aquadisiac (thanks to Kas for pointing out that my earlier post called it Aquarius by mistake! The perils of blogging late at night ;p). I used the thin sponge tip applicator to line the upper lashline with Deep Purple and the fat sponge tip applicator to apply Purple Obsession in the outer half of the crease. Next, I used the fat sponge tip applicator to apply Pink Mania in the inner half of the crease and to along the lower lashline. Pink Mania has a red tone to it, so I went light on this to avoid making my eyes look swollen. Then I used a brush to apply the highlighter shade over the browbone area. 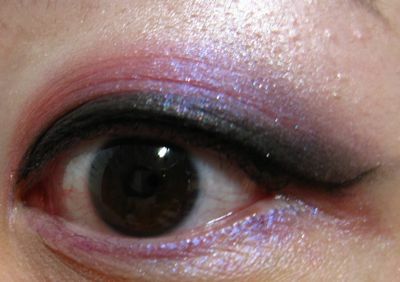 I also touched the brush very lightly to Deep Purple and then blended it with Purple Obsession at the outer corners near the crease area for a more graduated effect. Here's the finished look! I liked the deep purple shade produced by mixing Purple Obsession with Deep Purple. But I found Pink Mania to be a bit too red-toned for my liking so I'll probably mix it with the other shades in future. I was down at Muji at ION Orchard over the weekend & dicovered their makeup range is now available. Lip glosses, eyeshadow singles, eyeshadwos palettes, blushers, base makeup & liquid foundations are all on sale. I cannot recall the exact pricing but they are all quite affordable. Nice~ the pink is a little bit too red toned, but you wear it so nicely. nice post! the pink is a little bit too red, but the other colors looks great! thanks for sharing! Yes pretty red for most of us but you managed to blend it all nicely. Recently, I've developed a fetish for pink red eye colours! The red-pink and purple are so pretty. With the right amount of blending, I think the red can be worn by most. 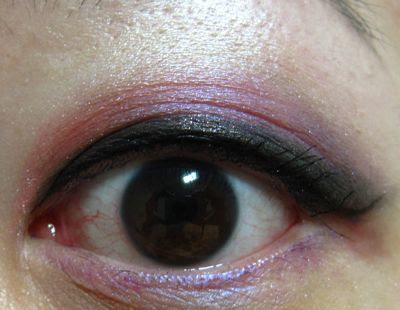 Perhaps to tone down the red, mix it with the white before applying to the lids. 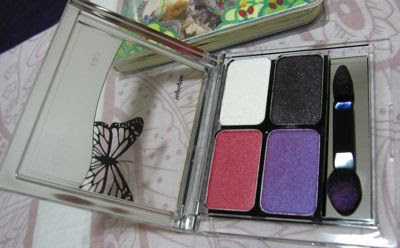 I learnt this from Smashbox makeup artist, who said, to tone down a dark 'scary' color, mix it with a 'safe' color.